This is my first attempt at creating a post using the wordpress app for iPhone… I am being lazy and blogging from bed instead of walking over to the computer. On Sunday it was about thirty degrees in Sydney so I was easily tempted by this blackboard sign at cafe jen in balmain. Eating mulberries reminds me of summer days as a kid and I’ve been lucky enough to reawaken my taste for them coz there is a huge mulberry tree near my house. 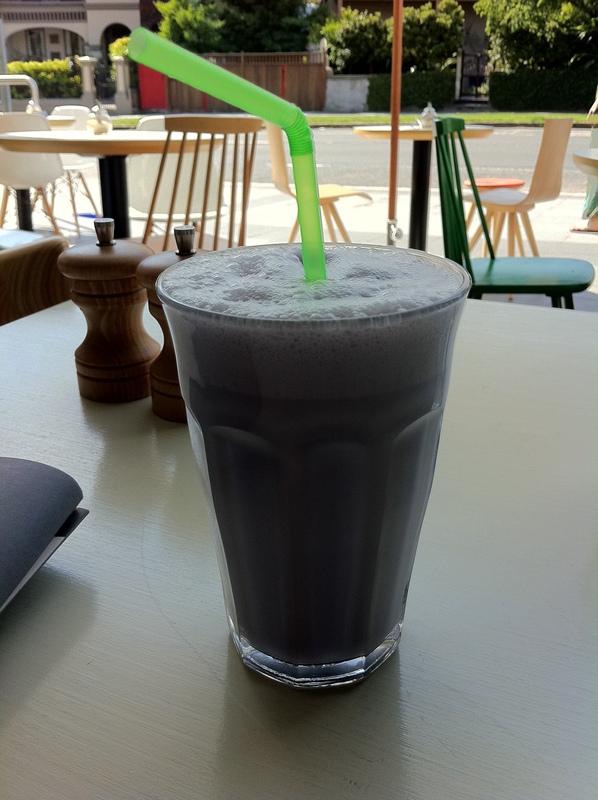 The milkshake was awesome and the peeps at the next table were enjoying mulberries in a berry frappe. Yay summer. 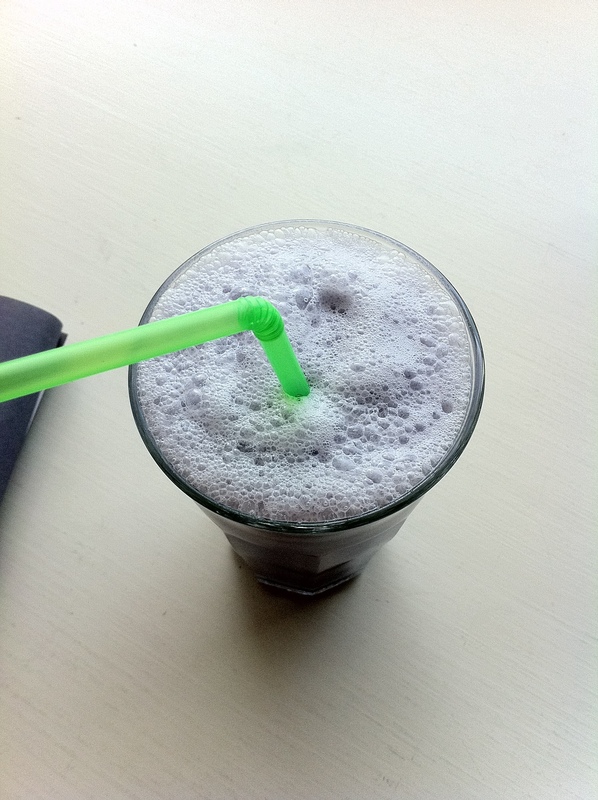 This entry was written by prettyprettyyumyum, posted on October 26, 2011 at 9:18 pm, filed under yum yum and tagged Cafe jen balmain, mulberry milkshake. Bookmark the permalink. Follow any comments here with the RSS feed for this post. Post a comment or leave a trackback: Trackback URL. i didn’t know there was a wordpress app for iphone! must download and play with it. 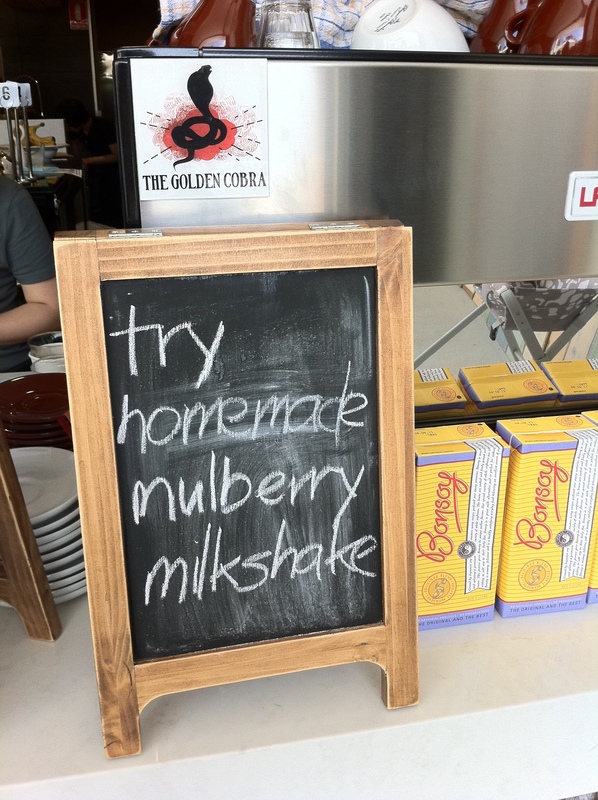 what an interesting flavour for a milkshake too! Hi E M W – Yep, it’s pretty handy! Only thing that I found tricky was making the text go between pictures. How did you get your sandwich cutters to come out so beautiful! I can barely get the stamp to work! and all this DIY foodstuff.